We will be working in getting all the content of my blog in English. A few days later we gathered to start training and we realized we were wrong, and as it happens when someone realizes their mistake, we had to start all over again, but this time, we did it as a team, not the way we did it before, as a group of swimming friends, and let me tell you something, it was very hard and we all had to learn that in order to work as a team, first you have to become a team. The concept of TEAM is a concept that we are familiar with and are able to handle in different stages of our lives since we are kids, but when we really live it, we find out we do not really know how to be a part of a team or how to work as a team and the least of all, how to accomplish a goal as a team, however, I always thought that at least I was sure I had a very clear understanding of what being part of a team was. I have always being a fast speaker; and I remember that in one of the meetings I said: Of course, lets become a team, it is so easy! A few days later, I had to eat my own words. It was not easy at all, but it was a learning period, that at least for me, has had so much meaning in my life and today I am convinced that a team is much more than just the sum of several people and their will, it is a different being, created by the enthusiasm, will, work, effort, patience, tolerance, respect and the cordiality of the people that form part of the team. I learned that it is the Team as a whole the one that pursuits and look forward to accomplish a goal. It is better to leave out of the teams every little thing the members of the team have that is not useful for the team and only to bring in what is valuable to give the team strength and growth. I also learned that a team without a leader is not a team at all, even when inside the team you can find people with the same or more experience or preparation than the leader, the guidance of the team is the responsibility of the leader of the team and to him or her everyone else owes authority and respect. Another thing, the team gets stronger with is weaknesses. That’s the way I see it; not all of the members of the team have the same preparation or strength, however, it is precisely in some of the member’s weakness where the strength of the others makes the team consolidate but at the same time in this weakness is where the ability of becoming a team is tested. 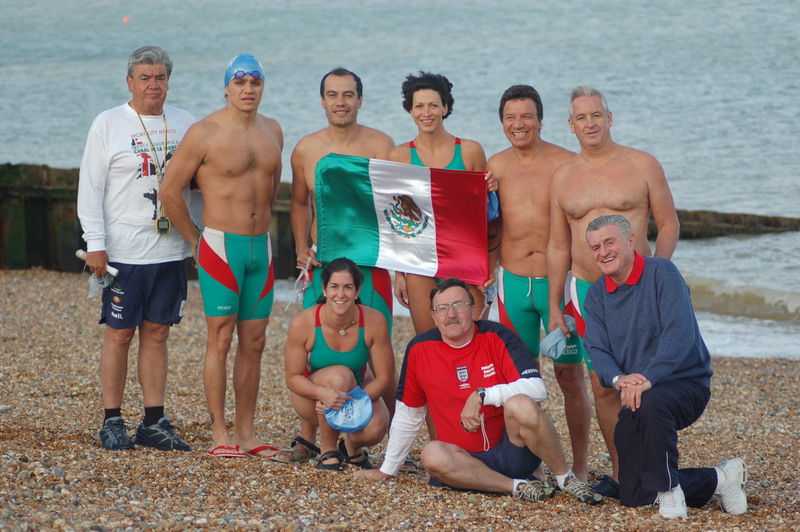 In the end, after more than 9 months of learning we finally putted it all into a test in a 4 Way Crossing Relay of the English Channel in 2007 that was accomplished successfully by Sport City Mexico Team, which was integrated by Mayalen Noriega, Alejandro Moreno, Omar Díaz-González, Jorge Urreta and me. Our Leader, Coach Rodolfo Aznar and Dr. Alexander Kormanovsky. 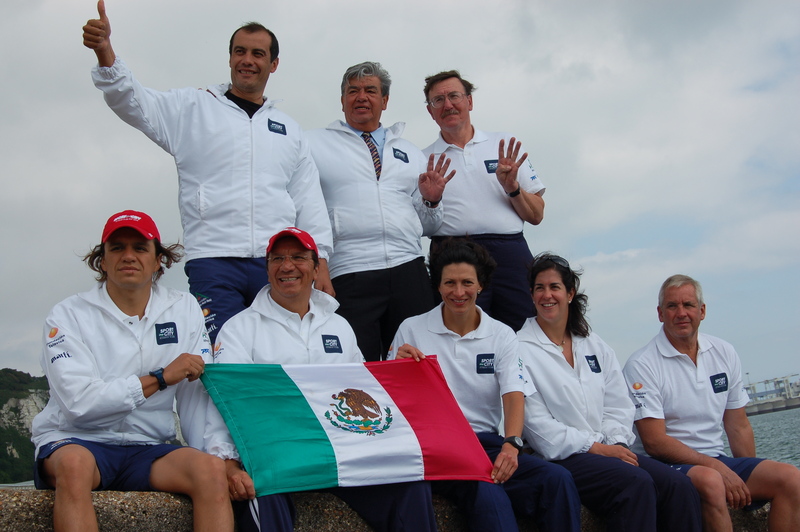 Not only we became an incredible team but we also accomplished an extraordinary sport event that represented a very important mark to the Sport City Mexico Team and therefore it represents a watermark in my life. The magic secret is to know how to be part of a team and today I use this secret in many aspects of my life. As a matter of fact, starting from this learning point, I accomplished my solo open water swims, as part of a wonderful team. My main support team is my family, my technical team (coach, doctor and pacer) has being my strength and along with the Alfredo Harp Helu, AC, Grupo Marti and the BRIMEX Clinic we have transformed the life of many children through Quiero Sonreir. Being a team is the magic secret! 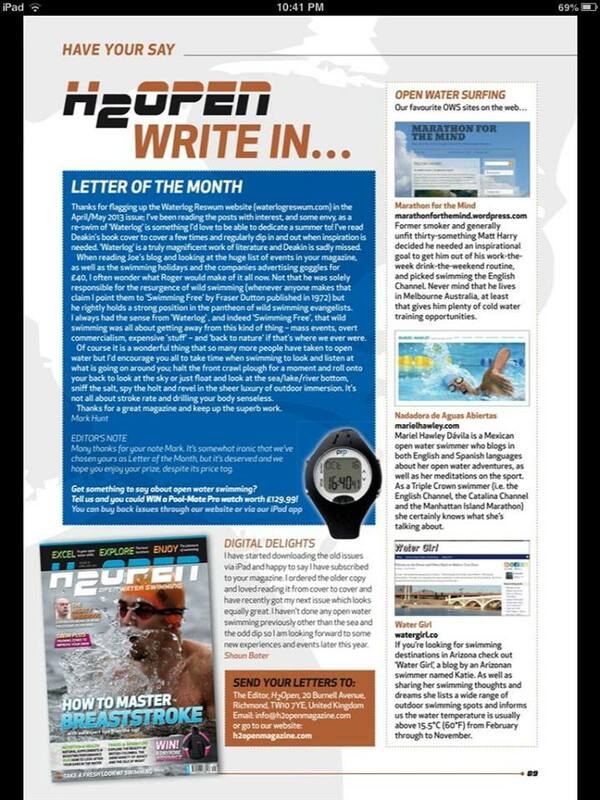 Text related to the swim, written a few days after June 6th, 2009… Today I am celebrating! “June 6th, 2009! I have kept this date in mind since last November, when the enrollment process for the Manhattan Island Marathon Swim was officially open. 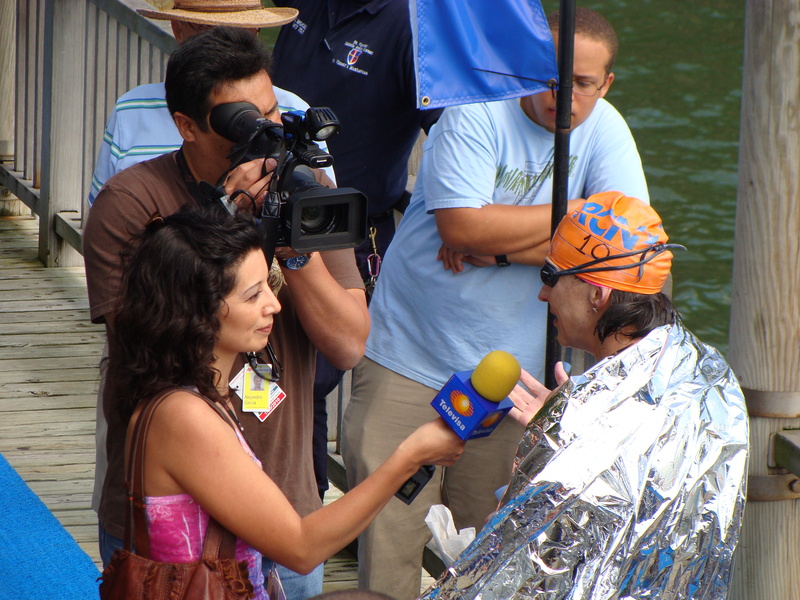 The marathon consists on swimming 46 kilometers around the Island, starting on the east river, continuing by the Harlem, reaching the Hudson and finishing at the starting point, Battery Park. 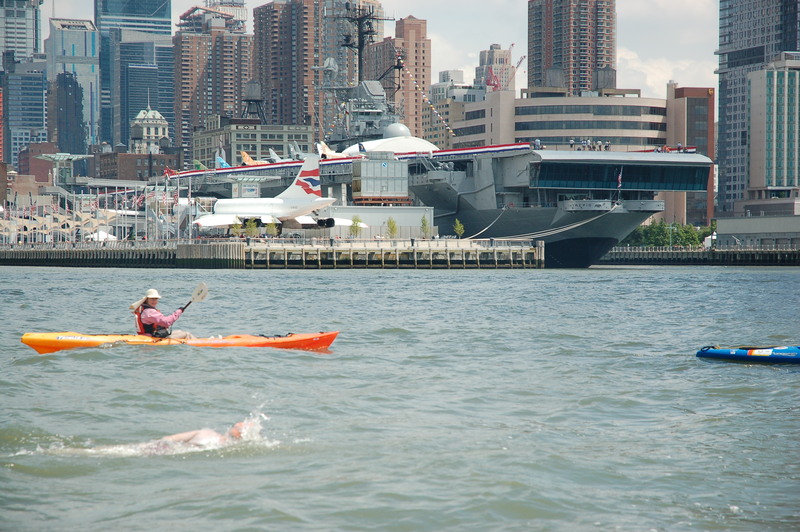 The swim around Manhattan is one of the most important open water events, worldwide. 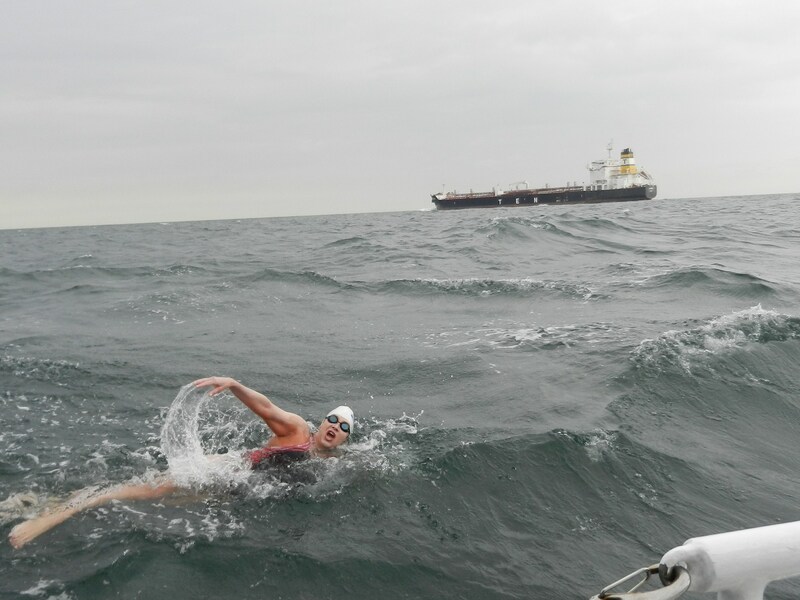 The distance of the swim is 46 kilometers; the water temperature is similar to the English Channel, between 16-19°C, you have to swim without Neoprene, with a conventional swimsuit a single swimming cap and goggles. The swim has to be uninterrupted and the swimmers cannot, at any time, stop to hold on to any floating object or boat. Openwater swimming rules. Finally the time has come, its 7:20 a.m. I am number 10 and I hear my name in the speaker, it’s my turn to get in the water, I jump from the Battery Park dock to the water and I immediately lose my breath, its freezing! Mi watch marks 16°C, I swim a little so that I do not lose heat while the start sign is given and I keep thinking I wasn’t expecting the water to be so cold! I had trained for over 6 months to get to this moment. I swam several sessions up to 40 kilometers in a week, there were days in which I swam 8 hours continuously, I used to have cold water showers between 16-18°C so that my body could get used to it, and finally the time has come to put it all into a test! I cannot believe it, I have being swimming for 15 minutes and my hands and feet hurt, I am cold. I see my hand under water and its turning purple, I feel shortness of breath and I have tachycardia, I do not like it, I am swimming and I do not feel comfortable. I try to swim opening and closing my hands and moving my feet to take away the pain. I concentrate on my breathing and think: stay calm, it is not the first time and I keep on swimming. Gela is rowing on the kayak beside me and smiles at me when I turn to breath and I smile back and think I cannot let the cold and pain waste so many hours of training. So much enthusiasm, so much support of those who have being with me in this project since day one, and above all so much desire for swimming this marathon around Manhattan Island. No, this does not work that way ….. my body is defending from the cold and sending alarm signs to the brain so that I stop and get out of the water , but no, I am staying here and keep on swimming. When I look forward I see I am about to swim under the first of 34 bridges in the journey, The Brooklyn Bridge and I turn around and swim backstroke to enjoy the view… So smashing! I am passing underneath this majestic structure and I am swimming! In a moment I realize I am not cold anymore, nothing hurts and now I am enjoying the journey. 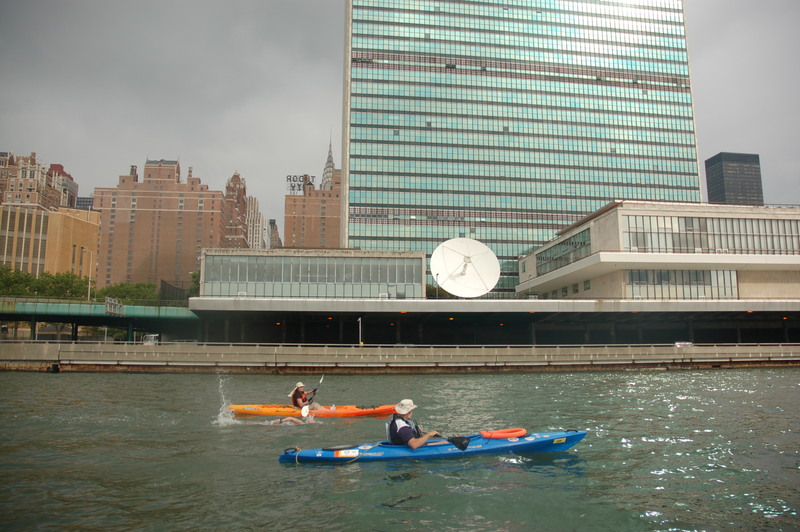 When I reach The United Nations building I feel so happy to be there. I turn to breath and see Gela on the kayak enjoying such spectacular view and while breathing on the other side I see my dad on the boat smiling at me and I give him back the biggest smile. Reaching the Hudson took me almost 5 hours; let’s say I am half way through the trial, this makes me happy, my enthusiasm is at its limit. Looking forward I see the George Washington Bridge and I am very excited to see that in a few minutes I shall be swimming underneath it. I think of my children, Andrea and Eduardo; if they could see me they would be so happy. They have become my engine during so many hours of training and have become a part of this project each in their very own special way, I also think about that plane that last February, had to land on the river and everything went well. I remember it is June 6th, D-Day a date that brings incredible things to my memory; and in the end, now I see lots of little kids faces that shall get surgery to get their cleft lip and palate fixed, all of these goes through my head while swimming underneath the last bridge, it is almost over! I turn to the boat and see my dad he is smiling and cheering me, and he makes a joking face and this is enough for me to laugh inside and to keep going! I am so close to the finish, Battery Park and now I can see the end of the Manhattan Island Marathon Swim!! 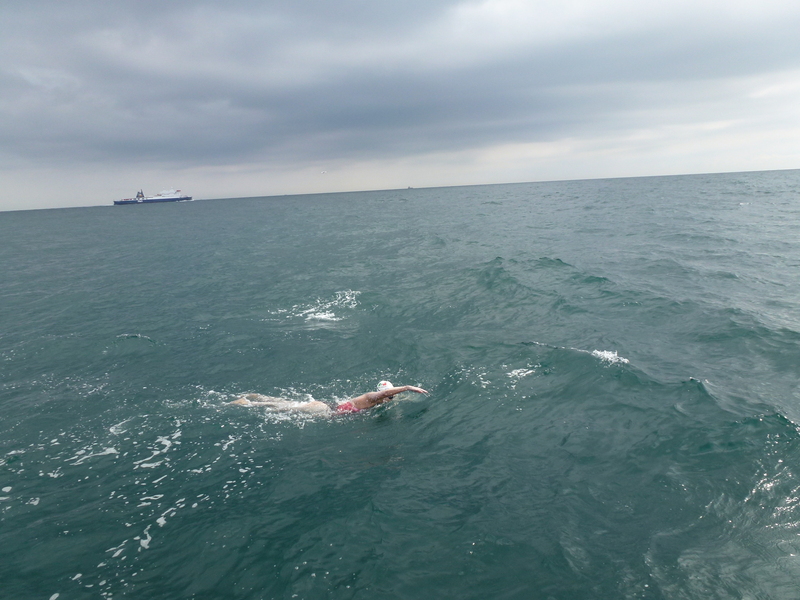 When I turn to breathe, I see people clapping and cheering and while arriving to the finish, I think I do not want this swim to be over, I am enjoying it too much, I have a few strokes left. Finally I reach the dock stairs and I get out of the water; the clock stops; I finished! 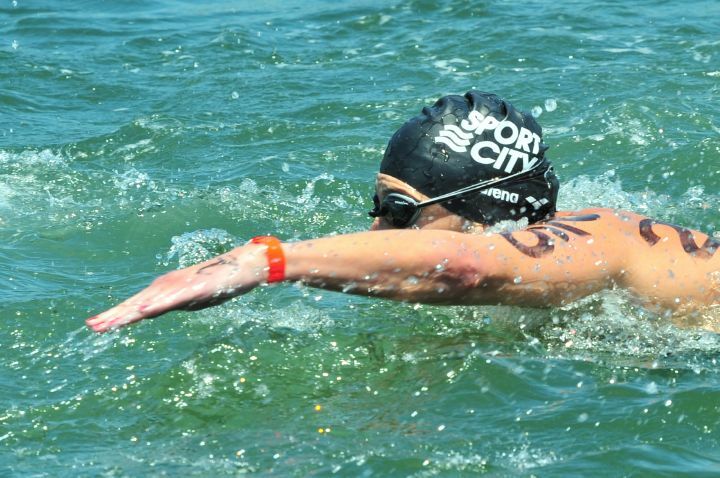 Four years have passed since the day I swam around Manhattan Island and I´m still celebrating! Dad, your smile kept me going! 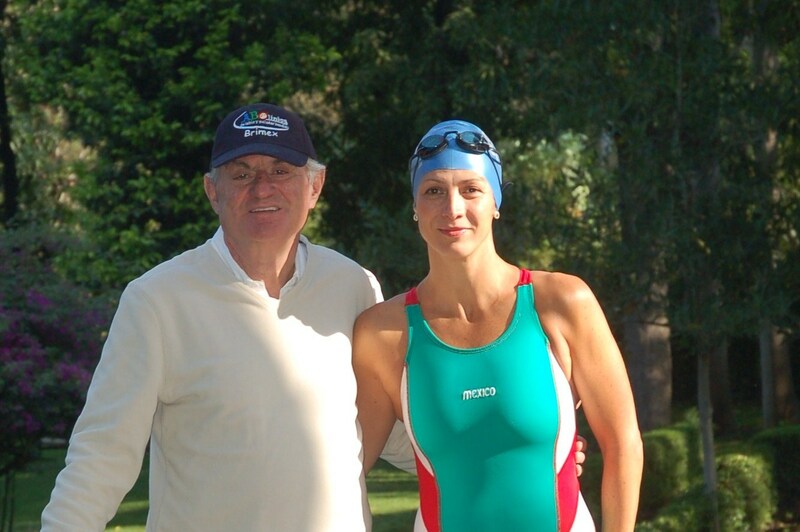 I have thought, many times, in these words and I am convinced that Andrea, my daughter, who back then was only ten years old, commended me to finish my swim in order for her to be able to share it, knowing she was a part of it. 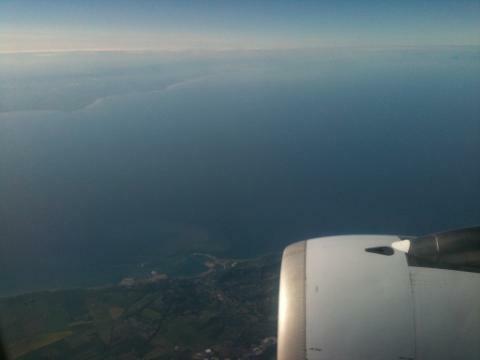 If at some point I doubted finishing my English Channel crossing, she saw further than I could see. These words have become a lesson in my life, first of all because I should not doubt what I am about to accomplish, especially when I have worked so hard to achieve it and secondly because I should have received such words not as a command but as an order, sometimes life presents us with situations that if we do not execute almost as if they were a martial order, there stands the chance we do not reach those goals. This is because when we receive an order, we do not question it and we simply do our work to accomplish it, just as my daughter ordered. 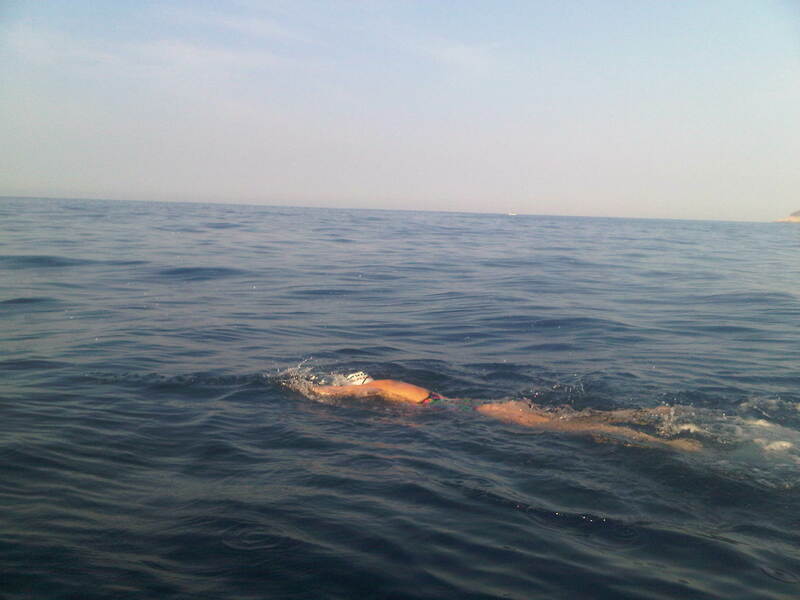 Many hours later, in the middle of the sea, when I had being swimming for about nine hours and thought I was at the edge of my physical limit, I would remember her commend, her order and I would keep on swimming until I finished my crossing, which took 14 hours 33minutes! Let’s not leave stuff unfinished, even if the situation becomes complicated, finishing means much more than crossing the line, signing a document, or closing a circle, it means that the command was accomplished, the dream came true and that somebody else’s expectations get stronger with our goals, it can become a starting point for people that get inspired, to start their own path, by those achievements, so… Let’s finish! Im ready to… Swim for your Heart! This event is organized in Mexico as part of the Swim for your Heart, Valentine´s Day, campaign in order to bring awareness of heart disease. To take care of the most important vital organ that we have: our heart. Sometimes we think that because we exercise, we have a healthy lifestyle and good eating habits we will not be at risk to have some heart problem but we forget that we should get our blood pressure checked at least twice every year. Swim for your Heart is a campaign in order to bring awareness of heart disease; many swimmers around the world will join this campaign and will swim on February 14 in order to share the awareness of taking care of our heart. This year, as the two previous, Sport City Fitness Club swimmers will join Swim for your Heart and we will try to have at least 2013 swimmers joining this very special Swim for your Heart campaign. 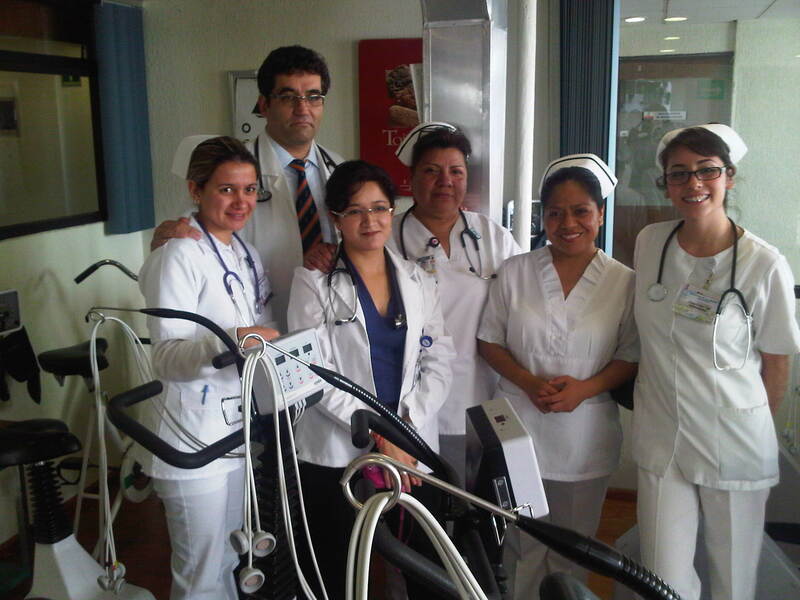 Also, Sport City Fitness Club will donate an economic contribution in favor of the Mexican Heart Foundation. If you want to join Swim for your Heart, next February 14, swim at least one kilometer and share the awareness of heart disease with those around you. You can share with them that the most important thing we can all do is to get a med check-up at least once a year and a blood pressure check-up twice a year. By doing this we are doing a lot more than we realize. 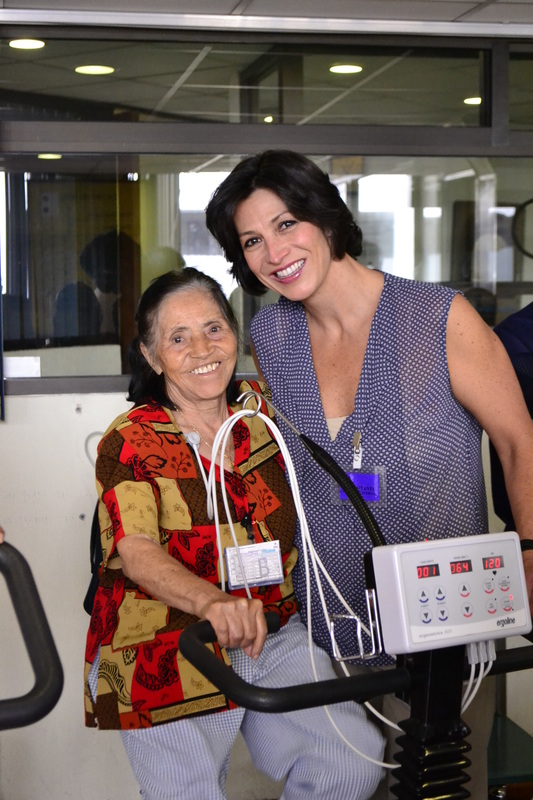 Today, I visited the National Institute of Cardiology, the Heart Rehabilitation Unit and realized that the kilometers that I had swam in 2011 and 2012 as part of this campaign, have really helped to share the awareness and to take care of many people´s heart. I will celebrate this Valentine´s Day by swimming for the heart of someone else. 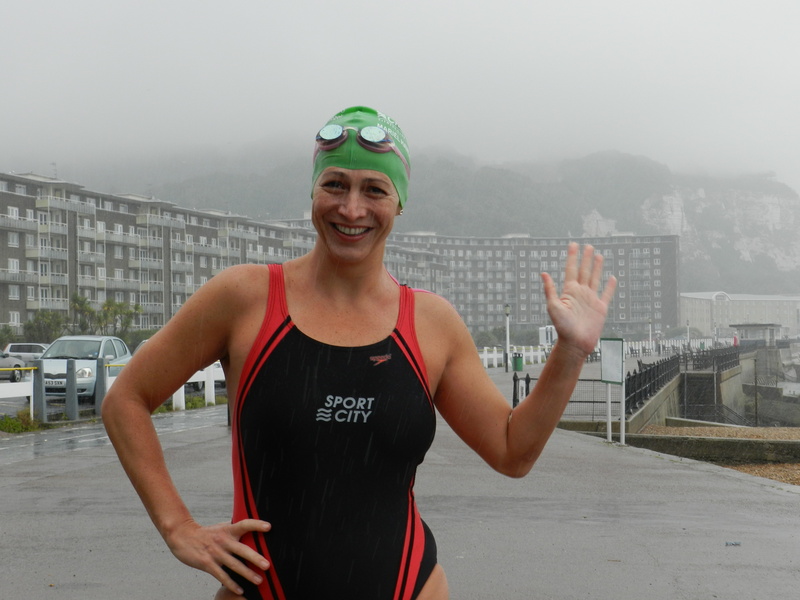 Last Saturday I did my first 3 hours training towards 2013 Ederle Swim, next August. I swam in one of my favorite places, Las Estacas, a very beautiful place about one hour from Mexico City. My kids, Andrea and Lalo, as well as my mom came with me and on our way to Las Estacas, we were talking and planning our day. I told them that almost 2 years ago, a few days before my dad’s death, he and Lalo came with me to Las Estacas, and we recalled the incredible moments we spend that time and remembered that my dad loved this amazing place. That’s why we all dediced that spending the day at Las Estacas would be a great way to remember my dad and to think about how he spent his life loving and being kind to his family. Also, remembering all he did during his life as a doctor, transforming so many people´s lives and helping them in many ways. I swam three hours, enjoying the river, the cold and crystal water, the acuatic plants and all the vegetation of this place. All the Green from around the river filled me up with energy on each stroke. I also recalled the wonderfull moments I spent with my dad in this place. His life was a plentiful one and eventhough he is no longer here with us, he left his loving memory so that we can love and take care of others the way he did. I swam a lot of meters and kilometers in order to to have my reserve ready for Ederle Swim. I enjoyed swimming with Nora Toledano @NoraToledanoC and Carlos Komori and I wish they both achieve their swimming dreams they have for this year. 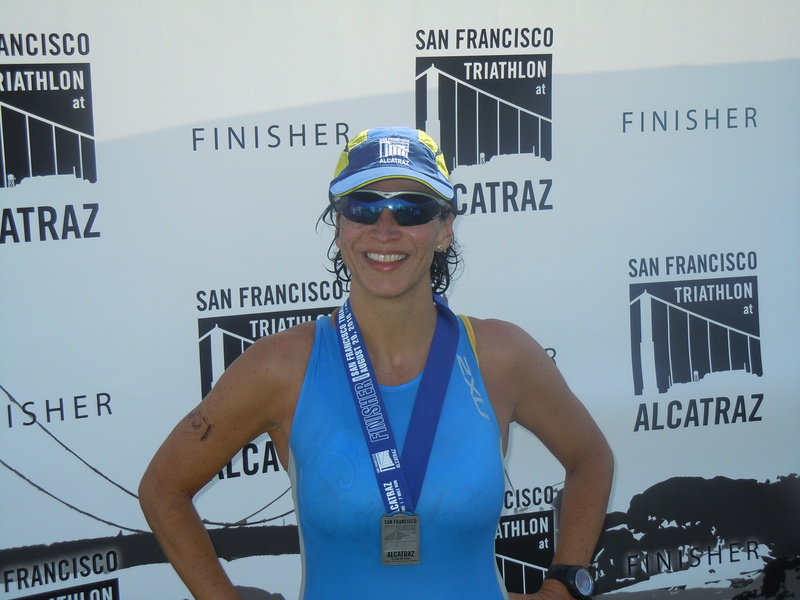 I thank Ariadna Del Villar @DocdelDeporte, for her support. And I can assure you, that we all had a great time and my mom, Lalo, Andrea and I, remembered my father in a very special way. I wore the medal on my neck!! Today I got my certificate from the Swim across the Catalina Channel. When I looked at it my eyes filled with tears. How much effort, so many hours swimming in the dark, all the biting from the jellyfish, all those strokes to achieve this swim and 100 surgeries for kids with cleft lip and palate! After a little while I wore the medal on my neck!! Everyday there is something that pushes us down, makes us sad and makes us doubt about what we are doing. Sometimes we ask ourselves if it is worthwhile to continue in our way that requires us effort and work and even though our mind plays us and becomes our first enemy, I am convinced that in these moments of sadness, solitude, fear, pain and distress we should have the attitude of willingness to fight and carry on. Several times we want to be strong to support other people but if we let ourselves be defeated each time we come across a difficulty or obstacle in the way, it will be very tough to support someone else and we are just going to be next to someone in his difficult time instead of giving him/her strength and support. Some people say that the true support is when someone takes the heat for oneself or when we take the place of the person living the situation to the fullest to endure his pain, suffering or distress to relieve the person and free him of this charge so heavy that weakens him. To be able to do this we need to be strong and have an attitude of steel. Today I am convinced that I need to become stronger everyday so when it is necessary to carry the burden of someone, I will actually be able to be their support and carry the burden. 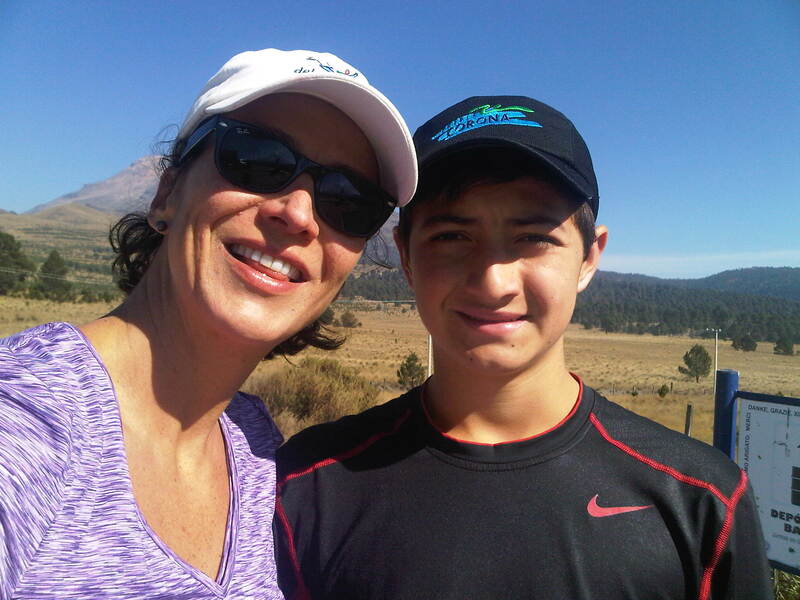 With this idea in my head last Saturday I went out with my son, Lalo, to “Paso de Cortes” to run over 10k. We enjoyed the place a lot. It is incredible. Running between the “Iztccíhuatl” and “Popocatépetl” volcano is a gift from nature. We are lucky to be able to enjoy this place. Even though we ran we didn’t train, this was not a training, we strengthen ourselves to be stronger to support other people. With this attitude we can continue defeating obstacles that come across each day and work like this to make our dreams come true and help others so that their dreams come true as well. I wish your 2013 is full of blessings and a lot of dreams to make them happen! I love the idea to start a year that for sure will bring a lot of surprises but today I thank that I start with health, with my family and with a great enthusiasm to carry out new projects that will bring benefits to others. A lot of people have asked me what I will be swimming this year and I am so glad to share with you that I will be swimming the Ederle Swim. This is a swim to honor Gertrude Ederle, the first woman that swam the English Channel, she did this is 1926! I have been there and I recognize the effort and such a big accomplishment she did, breaking the boundaries of the school of thought of that time and the stereotypes and expectatios! When she swam the English Channel only 5 men had made it and her time was much better than all of them. But a few years later she became deaf. She was deaf most of her life and kept on fighting to not be discriminated or locked up. If today I had the opportunity to invite someone to swim with me I would invite her! 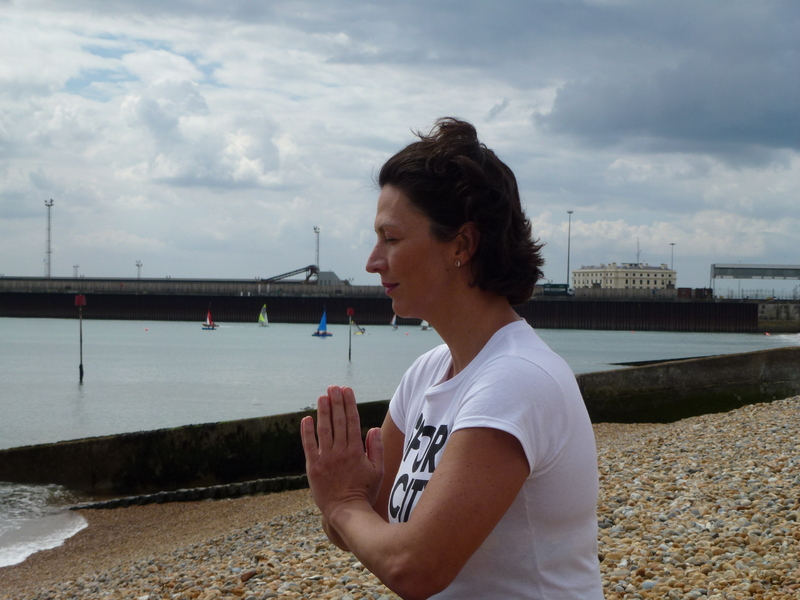 I admire this woman, brave, avant-garde, committed, enthusiast and pioneer in open water swimming. This great woman died when she was 97 years old, November 30, 2003. 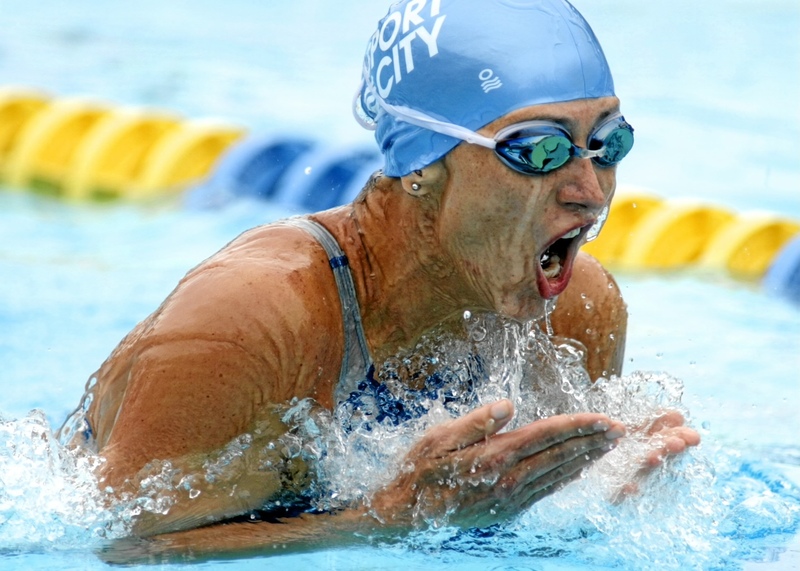 This year it´s the 10th year since her death and I honor her memory by swimming the Ederle Swim August 18, to recall a great woman in the history of mankind. The route of the Ederle Swim is from Battery Park, Manhattan to Sandy Hook, Connecticut, they are about 17.5 miles and each stroke will be a stroke to bring hope and love to all the people who have lost a close one in the tragic episode of Sandy Hook that made me really sad. Life goes on and while I am still alive I will do what I can to help change people’s lives that are in need. Through the project “Quiero Sonreir” (I want to smile) I have helped to change the lives of many children with cleft lip and palate, I hope through Ederle Swim I can continue to do it. My strokes to get more smiles!